Natasha Bailey, Siobhan Barr, Ingrid Berthon-Moine, Liesel Böckl, Maria Chevska, Lorraine Clarke, Barry Cottrell, Shona Davies, Wendy Elia, Karl England, Oona Grimes, Susie Hamilton, Eleanor Havsteen-Franklin, Sibylle Heil, Sadie Hennessy, Kaori Homma, Marguerite Horner, Phil Illingworth, Valerie Jolly, Evy Jokhova, Jarik Jongman, Liane Lang, Eva Lis, Evi Lemberger, Katherine Lubar, Denise Mahon, Jessica Mallock, Rosanna Manfredi, Enzo Marra, Rob Miller, David Monaghan, Flora Parrott, Toby Poolman, Chantal Powell, Momoko Suzuki, Boa Swindler, Annabel Tilley, Sardine & Tobleroni, Florin Ungureanu, Caroline Walker, Steph Wehowski, Chiara Williams, Debra Wilson, Jayne Wilton, Basil Wonder, William Wright, Irlanda Zantone. As austerity bites and even Her Majesty scraps the annual Christmas party in a show of restraint, WW Gallery in Hackney is generously helping out your Christmas wallet and the NSPCC, by giving away free art. And yes, there is a catch. You need to buy one work in order to get one free. Prices range from £10 - £300 and proceeds go to the NSPCC, so that they can be there for more children this Christmas. 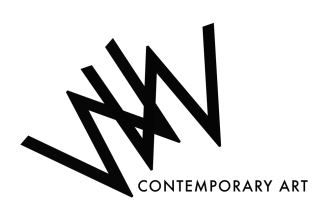 For 10 days only (10th – 19th Dec 2010), WW is giving away art worth thousands by some of the hottest contenders on the contemporary art scene. This is a great opportunity to start your collection, give somebody a fantastic Christmas present and change children's lives. Over 40 artists have generously donated their works. Many of them have won or been selected for major awards such as theJerwood, Threadneedle, John Moores, BP and are in major collections such as Deutsche Bank, Saatchi and the V&A. A full list of artists will be posted online, but artworks will be exhibited anonymously, with each artist's name only revealed at the point of sale. Images of all the works, from prints, drawings and delicate watercolours to large oil paintings, can be viewed online on this page before the private view for those wishing to reserve work.Sales will begin at 6pm on Friday 10th December and online sales will open at 12 noon on Saturday 11th December. If you would like to make a direct donation to the NSPCC please donate here. Please note extended opening times for this show - Friday, Sat & Sun 12-6pm. Anything you buy for £300 entitles you to select a free work in the £100 & under section; buy something for £200 and get a free £100 & under; spend £100 and choose a free £50 & under; buy one for £50 and get another £50 work free; buy a £10 T-Shirt and get a surprise gift worth £30! For more information please contact Chiara Williams wwgallery@gmail.com. Stuck for Christmas presents again this year? How about buying your loved ones a piece of original artwork, with proceeds of the sale going to the NSPCC? And if that's not enough, it's buy one, get one free! There’s a price to suit every budget, from £10 to £300, and with every piece of artwork purchased you will receive a piece free. The NSPCC is here to end cruelty to children in the UK by fighting for their rights, listening to them, helping them when they need us and making them safe. We provide national services such as ChildLine and our Helpline for concerned adults to provide support for all children. Our local services focus on the most acute forms of abuse and the most vulnerable, highest risk children working in areas such as sexual abuse or children under one so that we can bring help, advice and treatment to children at risk or those who have been abused.